I'm so excited about today's installment in the "Photography for Moms" series. 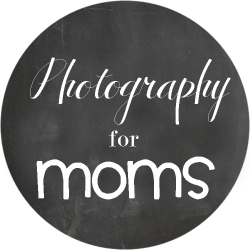 One of my favorite bloggers and new mom of two, Erin of Strawberry Swing and Other Things is here today discussing how to take those monthly milestone photos that you see everywhere. 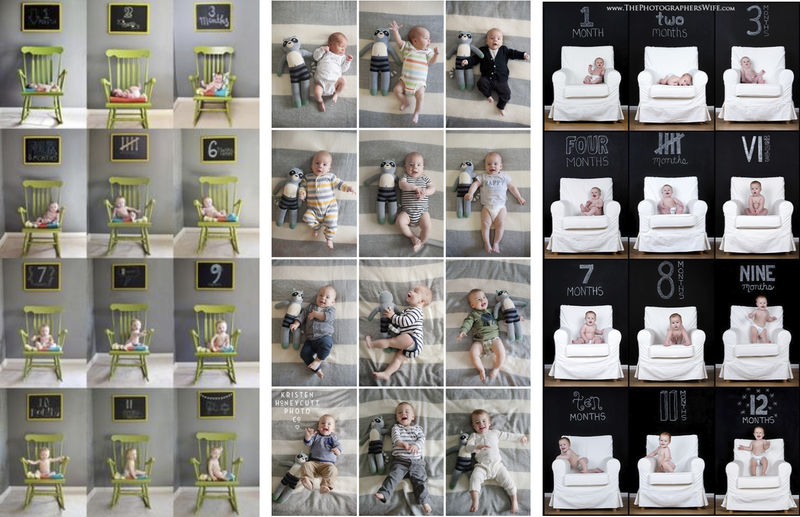 I love this post because Erin gives so much great practical advice about how to set up the shots and choose the location, get the baby to cooperate and find the best lighting. These are all so important in getting that consistent look month to month, or week to week. Her tips are fantastic and she draws on her own experience of what worked and didn't work. 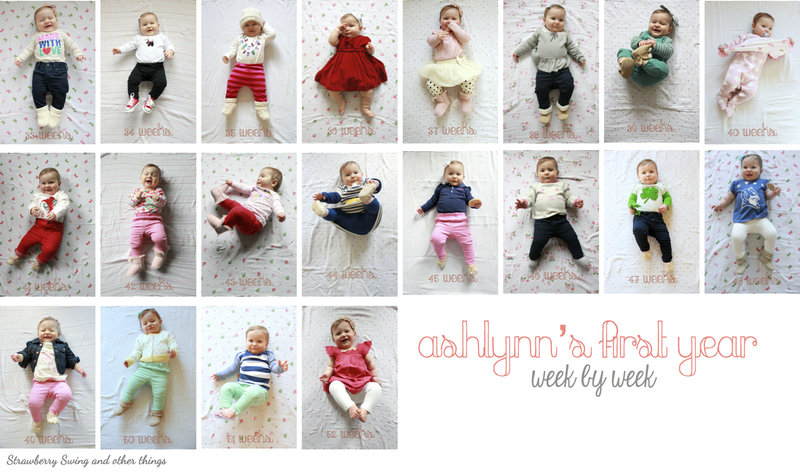 I'm insanely impressed with her collage of her daughter Ashlynn's week-by-week growth below. That is dedication! I took monthly photos of Mac during his first year, but mine turned out terribly because I didn't plan ahead, I chose a location with bad lighting, picked the wrong time of day and could never stay on schedule. I really could have used these tips below (luckily, they're just in time for Mim!). So, I hope you enjoy this post and learn a lot. 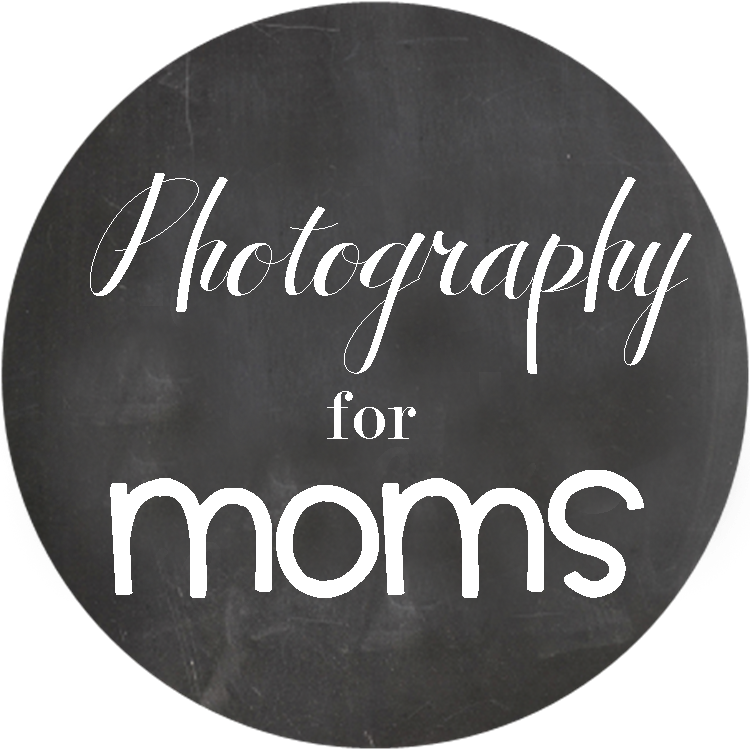 This is really great for anyone expecting a baby that would like to photographically document the first year's development or anyone with a baby that would like to do this going forward (you can start at any time!). Feel free to ask Erin any questions you have in the comment section below. Thank you so much for this post, Erin! One of these days I'm going to take you out for a giant margarita! Hi everyone! 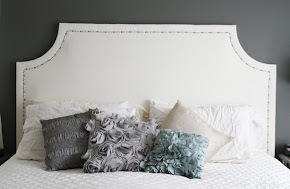 I'm Erinn and I blog over at Strawberry Swing and other things. I'm a mom of two girls, nineteen months apart (currently 2 years and 5 months) and am up to my eyeballs in all things baby and toddler... and diapers. Lots of diapers. And those coveted heart warming giggles too. I am so incredibly flattered Sara asked me to contribute to this series. Mostly because I wait for these posts with baited breath for all the tips and tricks I can add to my 'novice mommy photographer' arsenal. I got my "big girl" (read: DSLR) camera on Black Friday 2011, a Canon Rebel T2i. I was just shy of 4 months pregnant with my daughter Ashlynn and considered it my Christmas, Birthday (Jan 1st), and Halfway through Pregnancy present to myself. I bought a 50mm (nifty fifty) f/1.8 prime lens the following summer a few months after my daughter was born. I have never taken a photography class, only reading a handful of tutorials found via pinterest or posts like Sara has been sharing. 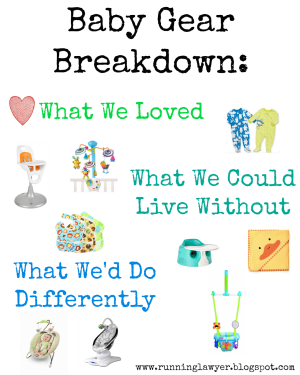 So no professional status here, I'm just a mom who over documents her kids - just like you! As for my current ability, I generally shoot in Av mode, especially now with my toddler on the move. I can never get the settings changed quickly enough and prefer to take as many pictures as I can to find a few gems than I can edit lighting, rather than take the perfect photo...which would most likely be of the back of her head. I did however, hone my manual shooting skills when Ashlynn was baby. She was my first child and she didn't move. I would play around with the camera settings, moving her room to room, and bask in the 500 pictures I would take of her that day. I'm still far from a professional, but I learned about my camera, lighting, back button focus, ISO, and shutter speed in the process. If anything, it was an excuse to make sure I was picking up my camera instead of waiting for holidays or special occasions. A true "first born" child with the thick baby photo book to prove it. When Ashlynn was born I knew I wanted to take weekly pictures of her. 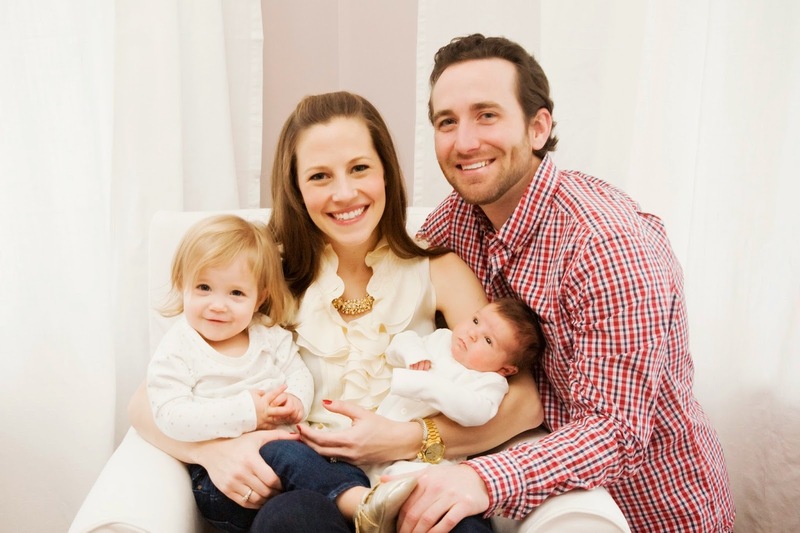 I wanted to track that progress ever since watching John and Sherry of YoungHouseLove do it of their daughter Clara and Reichel of CopyCatChic of her daughter Arden. These were my inspirations and from there I took similar weekly photos of Ashlynn laying on one of her Aden + Anais Swaddle blankets since they were the largest blankets I had and they coordinated together. I liked having something other than a plain white background, but nothing too bright or competing since I wasn't using a white onesie like YHL. Instead, I was putting to use the plethora of adorable clothes we received from friends and family - and of course my own habit of binge shopping. I edited the photos using Picasa, correcting any contrast or color issues, cropping, and then adding the week number. 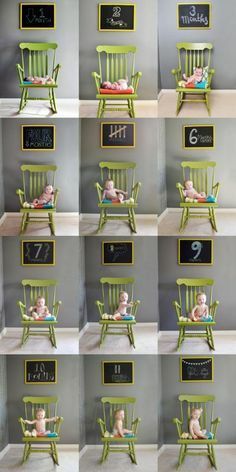 Of course there were lots of other inspirations on Pinterest - baby in chair or crib, baby next to a teddy bear or lovey to show physical growth, baby in front of a chalkboard wall, you name it. 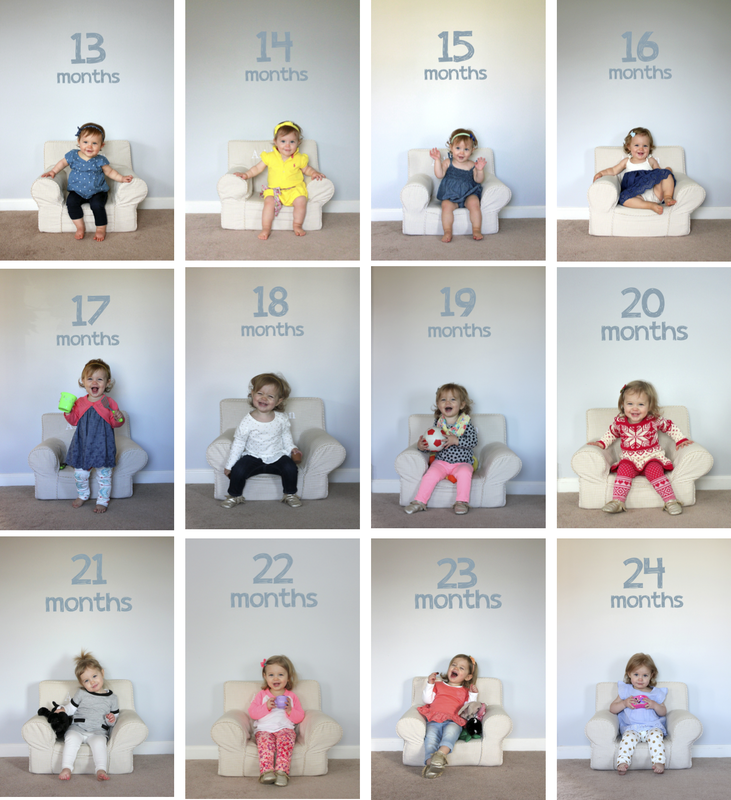 I actually got really ambitious and tried to add monthly photos to our weekly ones and planned to document her from laying baby, to sitting, to standing in front of her dark blue gray nursery wall with balloons to correspond to her monthly age. After the second month I gave up, turned out I didn't have proper light or timing. The one space in her room where I could stage the shot had the best light from 7-9am in the morning. 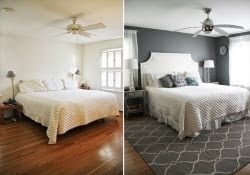 As it got later, the crib would cast a shadow (left above) and there wasn't any other ample wall space for the photo to be staged elsewhere in the room. Since I would purchase the balloons during business hours, I'd have to wait until the following morning to take the photo to get that prime light. By then, the balloons would be falling to the ground (middle above). By the second month I was still having way too many issues and just hadn't planned it properly so I threw in the towel (right above). It was a good effort, but lesson learned and I'm glad I already had good thing going with the weekly photos. Not to mention we sold our house when she was 8 months old so I would have had to find a new wall to shoot in front of and there is no way 12 balloons would have fit in the space between the crib and closet. Hindsight is 20/20. Tip: If pregnant, test shoot a teddy bear around the house. Find a chair, wall, space on the floor that gets great light (how many of these photography for moms post can emphasis the use of light? if you learn anything let it be that!) and shoot some test shots with any props you will be using while getting to know your camera in the manual setting. A chalkboard, iPad, blocks... and I'm totally loving these new monthly printables from Caravan Shoppe. Figure out where you'll place them in the frame and try to think ahead to when your baby isn't immobile anymore - meaning, when they might focus the whole photoshoot on grabbing anything within their reach or rolling, crawling, and walking away! I would be lying to say was I wasn't a bit relieved when my daughter turned one and I was able to stop the weekly photo nonsense. She was too old and too mobile to put up with it and it was becoming a chore trying to make sure we were home on Wednesday at 10am to get the best photo! And yes, I was that obsessive about it. I believe there were only two weeks we didn't take the picture on Wednesday morning and that was because of holidays. Tip: Consider when you will take the photos. Monthly vs Weekly? 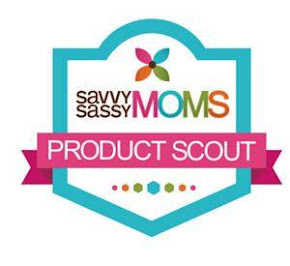 Are you a working mom? It might be best to aim for taking them on the weekend instead of the day of the week your child was born. And don't forget to consider the seasons. The light and best time of day to shoot changed as we went from Summer to Winter and back. Also, take in consideration the time of day and your child's moods. It's unlikely you can plan that far advance, especially if pregnant with your first child. But waiting until after a nap or feeding instead of squeezing it in before hand when the child is on the verge of meltdown is generally helpful. And while a crying baby photo is always a winner in my book, it's generally not the best parenting tactic to allow your baby to cry in hunger while you fuss about white balance. For my second daughter, Kenley, I decided to take advantage of the amazing light in her nursery. Placing her on the white chair, in a plain white onesie, her physical appearance is the sole focus and only factor that changes from shot to shot. Well, that and her headbands. Because I take her photos monthly and I'm not as great about picking up the camera every week like I was with my first born, I make sure I take plenty of shots during that time (usually after she's fed and the toddler is napping). I take shots from across the room capturing her small (growing) body in the chair with the curtains flanking the sides so there is room to add my text. I also usually shoot standing in front of the window on her left side looking at me so I can catch the light in her eyes - always using my back button focus right on her eye. After some of those close ups, I'll take a few of her in the crib. I love having the difference perspectives and of course, expressions! Tip: For photo step up, my first suggestion is a tripod! Except I don't have or use one. If you wanted pictures that taken from the exact same height or distance that's definitely your answer. I just always try to crop the best I can so they are similar. Also, if you use a step stool to stand over your child on a blanket or a zoom lens (I was unable to use my prime lens when shooting Ashlynn's weekly pics from above and used my kit lens), have everything ready to go before getting your baby situated. Their patience is short and only gets shorter as they grow! Back to the expressions. I love getting shots that show my daughters' true personalities and sometimes staring at a camera and saying "cheese" doesn't elicit those gummy smiles or funny faces I love looking back on. Ashlynn loved when I sang the ABCs when she was baby and Kenley loves Patty Cake. And both love when I play Peek-A-Boo with the camera. When in the toddler phase, I'd usually ask Ashlynn questions to keep her attention looking at me and getting a laugh. Anything from asking her what does the cow say, what her feet smell like, or to try to blow bubbles like her sister. Now, if you have a blog to share these shrines of your littles to the world that's great, but I'm sure the majority of moms (or dads too) scouring pinterest for ideas isn't just looking to take some pictures to store on their hard drive, but actually show off. Whether it's a clothes line of 4x6s at the 1st Birthday Bash to a printed poster to hang and store as a keepsake. I would imagine the most popular is creating a photo book. For Ashlynn's weekly shots, I created an 8x8 Photobook through Shutterfly taking advantage of a 40% code for all the additional pages I needed. I plan on making one for Kenley's first year, but instead of just having one photo per page flip book, I will also include each month's memories and milestones. I'm sure there are some other great ways to pull all these images together, mini brag books for the grandparents, but use your creative freedom! Thank you Sara for allowing me to share my growing girls' and obsessive picture taking. I hope I was able to inspire and lend some helpful tips I've learned along the way! Enjoy these days, these little ones grow up fast! Great tips! I wish I had done weekly photos like that. I just did monthly. I'm only doing monthly this time around with my second, it was a lot of work doing the weekly especially once she was interested in rolling and being on the move! 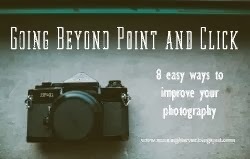 I love this series, and these are some great tips! Do you still use Picasa for editing, or do you use a different program? I still use picasa. I feel like I know it better than iPhoto since I've been using picasa long before I got my macbook. I did download Elements a few months ago, but haven't had the time to really figure it out. I would love to start using actions there to make my pictures look better and save time from manually adjusting each time. Such great advice! And LOVE Erinn's pictures! She always has the best pictures and it's nice to know the little secrets so I can help mine be better. I'm not too familiar with editing or picasa but I'd love to learn or play around when I have a free minute (haha!). Erinn, how do you make those collages? PicMonkey? Or does Picasa do that too? Thanks Elizabeth! I made those collages in Keynote (mac's version of powerpoint) and then save a .png/.jpeg. Picasa does have a collage feature, but it's easier with fewer photos. I'm sure Photo Shop could do it, but I am clueless on how to do anything in it! Great tips about taking something and practicing with it around the house. I am going to be home with my babe for 5.5 months after she is born so I am not sure if I should do weekly or monthly photos. Maybe I will try and do both? Thanks for the tips! You can tell in my Week 1 photo that I didn't really have a plan (mainly because she was born 5 wks early!!). I actually took more pictures of her in her crib then on the floor, but made the decision to do the full body shot from above the next week and rolled with it. I was really hoping for a great monthly thing, but clearly that didn't pan out. The weekly is so awesome to look back on, but I won't lie it did get old. I am in awe of those who can manage doing it the second time around, there is no way I could do it each week with a toddler vying for my attention! Great tips! I just wrapped up weekly photos with my THIRD child! Talk about feeling accomplished, lol! Seriously though, I sort of wish I had started with monthly with my 1st instead of weekly because after that I felt I had to do weekly ones with each of them. Nuts! OMG! Way to go! I just commented above that I am in awe of those that can stick with it! I had some mom guilt not doing it for my second, but I'm hoping that having a book with more detailed memories and milestones will make up for it. That's a great tip!! Something I didn't encounter since mine were on the floor/anywhere chair. Of course, Miss K will probably want to leap out of her chair, so I'll make sure someone is nearby! Great tips! 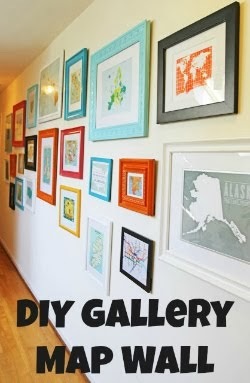 Wish I had done something like this with my girls - the end result looks fantastic! holy moly the weekly collage is amazing. Thank you so much again, Sara! I'm am so honored to be part of this series and hope everyone enjoyed my guest spot! This was so great!! Loved all the tips! photography is not perfect for all but this is the great post for moms.